Many thanks to Dan and Chris from Why On Earth Media! 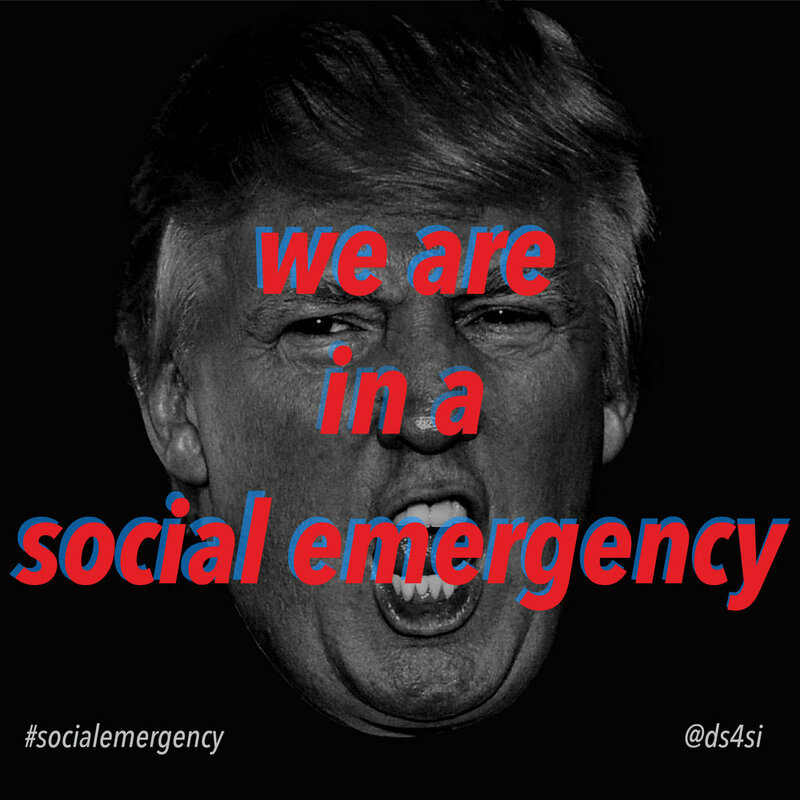 The social emergency was already here. It was just unevenly distributed. In emergencies like hurricanes and tsunamis, emergency response centers exist to provide services like temporary housing, food, water and information. We want you to join us in re-imagining response centers to take on the real and pressing social emergency that we are facing today--from state-sanctioned violence against Black communities, to gentrification, violent ICE raids and rampant Islamophobia, privatization, environmental devastation, and more. 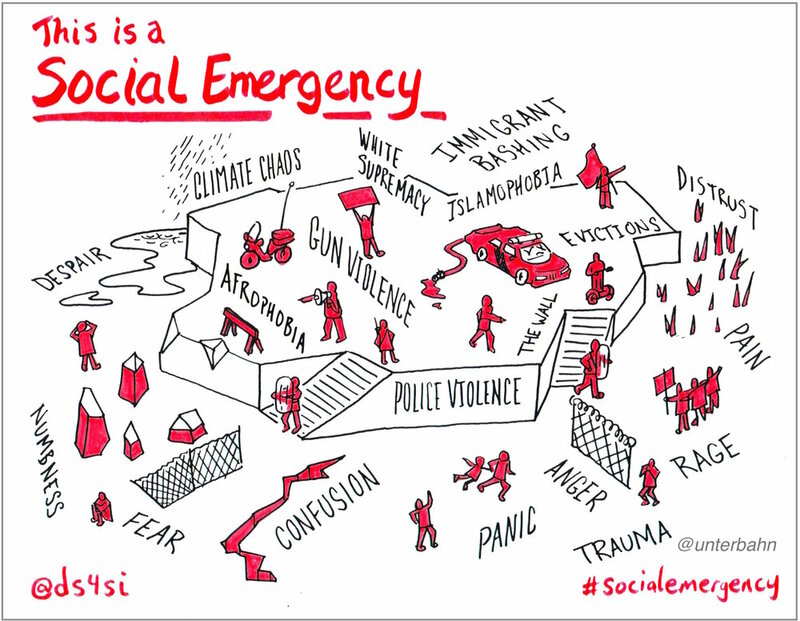 In 2017, we created Social Emergency Response Centers (SERCs) to help people understand the moment we’re in, from all different perspectives. Co-created with activists, artists and community members, SERCs are temporary, pop-up spaces that help us move from rage and despair into collective, radical action. SERCs are continuing and growing—a people-led public infrastructure sweeping the country from Utica, MS to Atlanta, Albuquerque, Washington DC, Chicago, Orange, NJ, Hartford, CT, etc. They are popping up in homes, community centers, schools, churches and conferences. SERCs function as both an artistic gesture and a practical solution. As such, they aim to find the balance between the two, answering questions like: How will we feed people--and their hunger for justice? How will we create a shelter--where it's safe to bring your whole damn self? What will reconstruction--of civil society--look like? If you would like to start your own SERC, we can help with a SERC Manual, SERC Kit or technical assistance. Email us at serc @ ds4si.org. Visit the SERC Facebook page for updates and photos from other SERCs. Teju Cole Text: Interactive 11x17"
Teju Cole Text: Interactive 24x36"
If you would like to contribute in any of the following ways, please email us atserc@ds4si.org. 1) Run a SERC near you! We are looking for partnering groups or individuals who want to lead a SERC in their city, town, neighborhood or conference. 2) Join a SERC near you! Yup, it's that simple. The more we can raise, the more SERCs we can support. If you can help with a small or large donation, that would be fantastic. Individuals can send financial support through our fiscal sponsor here. (Make sure to designate Design Studio for Social Intervention.) If you want to support us through a grant (or recommend one), please contact us through serc@ds4si.org. 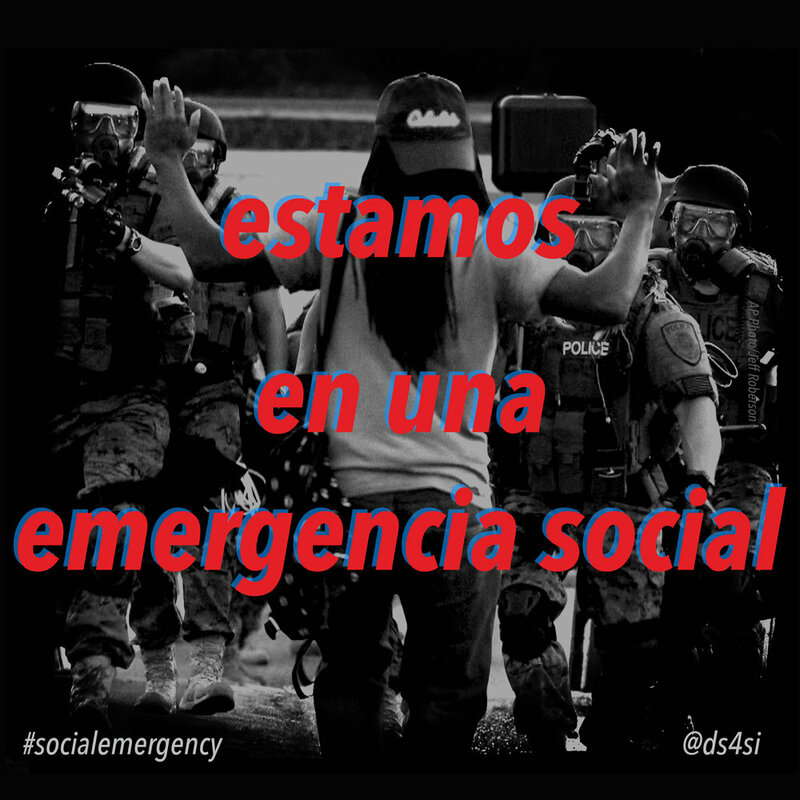 Contact us at serc@ds4si.org if you want to help. We hope you can join us! Big thanks to so many folks who have helped make the SERC a reality! We've had so many volunteers, donors and allies in this work. THANK YOU!